In the 1950s and 1960s, the sky was the limit, quite literally. 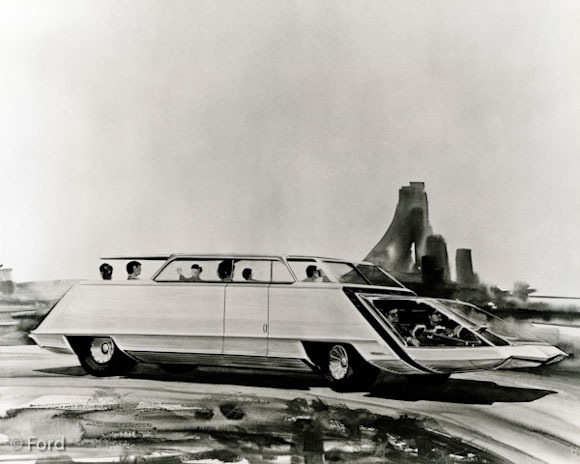 The world seemed full of possibilities as products reflected the thinking of automotive designers who had been given free rein to break the mould and explore new horizons. As the nations shrugged off the years of confinement and rations after WWII, people adopted a more ‘can do’ attitude, and they fully expected to be surprised and amazed by fresh ideas. Previous boundaries to imagination were lifted and as talk of space travel to distant planets became more prevalent, dreaming reached new heights. Take transportation for example, motor magazines printed stories about the future of the motor car, the automated highway and programmable city transport using your personalised pod by the year 2000. During the intervening period of around fifty years or so, we have in fact seen many automotive innovations and inventions such as vehicle ECUs, many safety features controlled by electronics, GPS-guided Satnav devices, not to mention significant improvements in vehicle aerodynamics which has led to improved fuel consumption. Great strides in engineering has seen engine durability and performance increase in both petrol and diesel cars, and more recently we have witnessed the introduction of hybrid drive and even electric cars. Much of this progress has however occurred in the last one or two decades, thanks to the advent of computing power that has helped with production processes, and the ability to design more streamlined cars and better performing components. The huge growth in computerised CAD systems, CFD technology and the use of wind tunnel work has seen the population of automotive design engineers explode globally with design courses being offered at prestigious learning institutions around the world. This is all good stuff, and there can be no argument about the fact that cars have become more fuel efficient, more streamlined, lighter, and more safe. However, with the explosion of knowledge in the field of vehicle design, isn’t it ironic how so many cars look so similar today whereas one might imagine that with so many more designers around, that we would be seeing greater diversity in vehicle design than what is currently on offer. To be fair to all those vehicle designers, and to be honest, they are much cleverer than I am, but when computer systems are programmed to design a car of a certain size, weight and seating capacity and with a target coefficient of drag at a certain speed, then the computer is going to spew out a fairly similar looking design for each manufacturer. Each manufacturer competing in say the C-segment in the market, is going to want to attract buyers based on what the market analysts say the buyer wants, and because they all look at the same data and the same reports, the end product is going to be similar…it cannot be avoided. Taking a step back in time though, a Ford designer would make sure that his car looked nothing like his opposite number’s design from GM or Chrysler, and so it was the individuality of each model that appealed to the buyer. In those days in the States you were either a Ford buyer, a GM buyer or a Chrysler buyer, and nothing would change that loyalty pattern which was usually handed down from generation to generation. 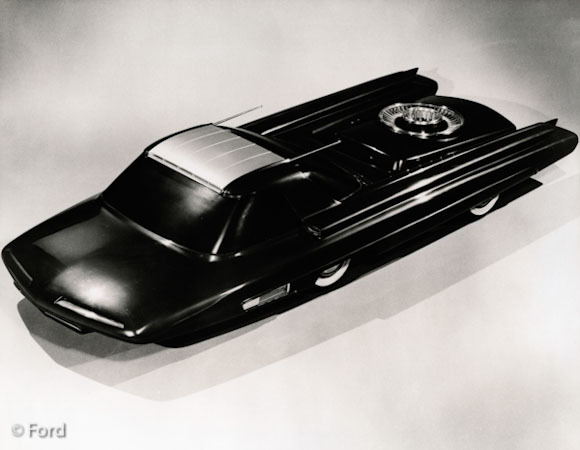 In order to catch the buyers attention, rear fins grew to an alarming size and pointy-ness, threatening to impale anyone who (for example) got in the way of a 1959 Cadillac Eldorado reversing rather speedily. Equally, the 1959 Buick Electra 225 Convertible was an imposing vehicle and quite typical of American design at the time in which size ruled the highways and boulevards of the nation. The design of the day was carried over into the house too, where one’s carpet sweeper (remember those contraptions) looked like it was made from bumpers and overriders that came straight from the production line of one of the Big Three auto makers. Take the toaster in the kitchen, it might have weighed in at a hefty 5-10 lbs, but it looked like the 1958 Chevy Bel Air parked in the garage, it had style and was streamlined. Baby was pushed about in a perambulator that had stylish wheel coverings and extra chrome trim, and more closely resembled a 1950 Ford Coupé, and required some muscle power to move it about, but that didn’t matter because it really looked the bee’s knees. The message here was individuality, and designers were less concerned about aerodynamics and fuel economy, and more concerned with horsepower and performance. With hindsight of course, all of those extra decorative chrome strips and heavy engineering were a big disadvantage as far as fuel economy was concerned, not to mention safety for both passengers and pedestrians…but these only became issues later on. Today though the emphasis, if there is one, is on corporate identity to the extent that when a brand of car approaches you on the road, say Volvo, it is difficult to know which model it is until it has passed by. The same can be said for VW products, Audi, BMW, in fact most of the car parc and not just these few mentioned here. ‘So what’ some might say, well indeed so what, but this possibly heralds in another worrying factor and that is that the role of the motor car is changing and cars are less likely to be purchased because you fancy a certain brand or model, and more likely because it satisfies a particular need. So it would make little difference to Volvo, Audi, Citroën or any other manufacturer which model of theirs you bought, as long as it was one of theirs. With the purchase rate among the younger buyers dropping in the bigger centres, one could perhaps see the logic in promoting the manufacturer’s corporate identity only, and not the individual models, as this helps streamline expenditure on individualistic design as well as advertising and promotion. The buyer of the future is going to be a very different creature because the youth of today doesn’t need personal transportation in the same way we did in the second half of the last century, in which personal independence was paramount. In the first half of the 20th Century motor cars were really only bought by the parents in the family and used for important trips like holidays, church outings or other family functions. This left the younger generation tied to the family for longer as transport was limited to buses, bicycles or a lift in the family car by either parent. Post WWII, and on into the 1950/60/70s, the motor car became more accessible to a wider group of the population, most notably the younger sector, and owning your own set of wheels brought great social gravitas and freedom. That personal freedom and independence as experienced in the 1950-1970s has been replaced in the Noughties by the mobile phone and other personal electronic devices, so much so that going from point A to point B in person is no longer necessary when you can simply call that person on your mobile phone from almost anywhere for a chat, to send an image or video clip, to send work documents or to download movies for an evening’s entertainment. 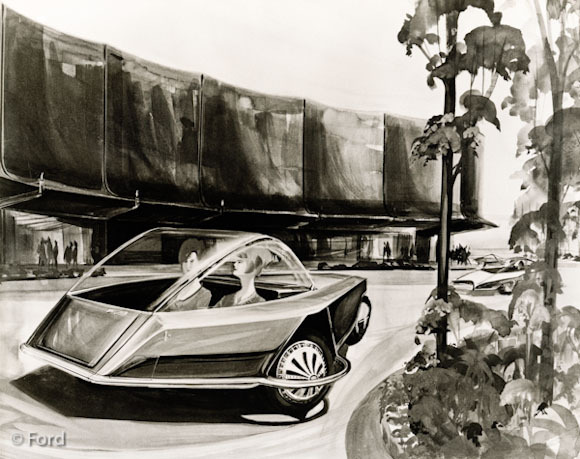 So maybe the car will finally become that ‘futuristic mobile pod’ as it was intended to be back in the 1950s when they spoke of the ‘Car of 2000’. Volvo has recently been experimenting with the driverless car, and we already have today such features as lane alert, following distance alert, cruise control and all manner of other electronic driver aids including heads up display on the front windscreen for the driver. Perhaps that ‘car of the future’ has finally arrived, but somehow I think it is going to be quite a long wait before traffic can be controlled seamlessly by some ultra-clever computer somewhere. Motor cars will always represent personal mobility and independence, and the thought of relinquishing control of that aspect of our lives hasn’t yet arrived. But then, we can still dream…. 1) We are accustomed to think of the mature markets of Europe and USA. And the conditions in urban environment. 2) In the developing and emerging markets the situation is quite different and they represent a growing market for motor vehicles. Also, in Europe and USA the trend towards multi-car ownership outside the cities provides opportunity for more variety in motorcar design – MPV, SUV, prestige saloons, sportscars, compact luxury cars etc. 3) Owning a car in cities becomes a non-issue because not the circulation is a problem, the parking place is either scarce, absent or too expensive. 4) Fuel price and the knowledge of rising fuel prices in the advent of exhausting sources increase the interest in alternative transportation and the need for transportation at all. You already indicate the means of communication by telephone and internet. The relationship between communication and mobility has changed. I can go on, but that would conflict with the reader’s Christmas celebrations…. Thanks Pim! Very interesting subject, isn’t it!